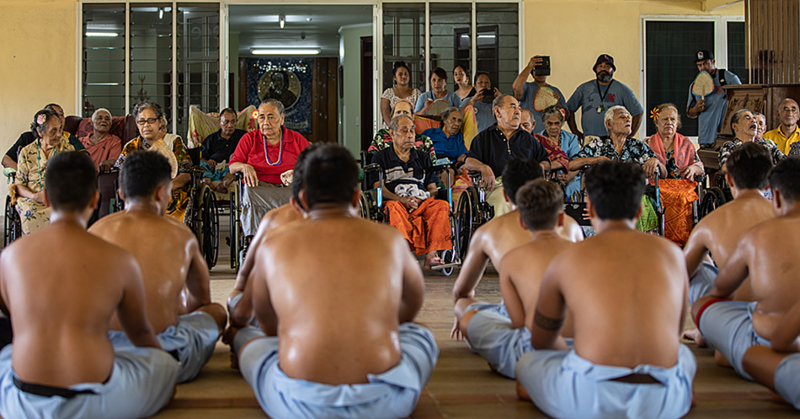 More than 100 children with different intellectual and physical disabilities attend Loto Taumafai school daily. However there is a significant number of children with disabilities who do not yet have access to school and are visited by the Community Disability Team at Loto Taumafai. 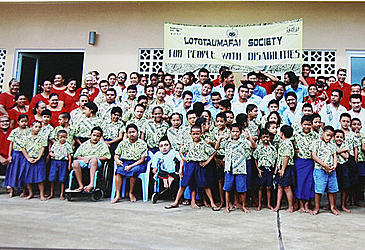 The Loto Taumafai Society for People with Disabilities (L.T.S.) has been in existence in Samoa for 35 years. It was set up by Fiasili Keil, a woman with a disability herself, who wanted to create access to education for children with disabilities. Leta’a Daniel Devoe has been the Chief Executive Officer of the non-governmental organization since 2006. 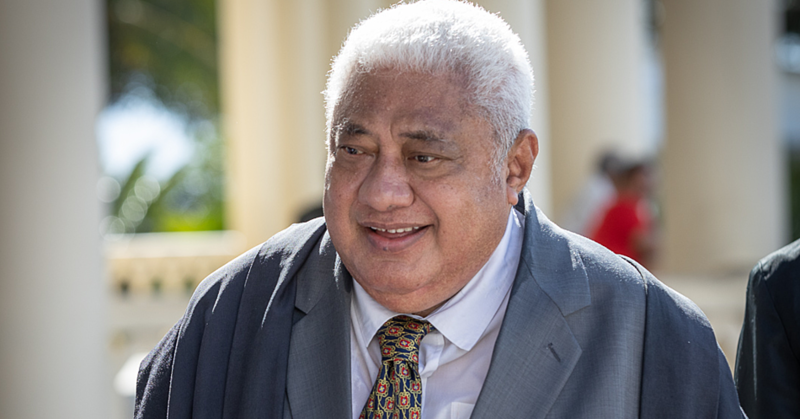 The government of Australia is the main funding source for inclusive education in Samoa, including the services provided for by L.T.S. In addition professional support is also accessed from New Zealand Aid. With the development of inclusive education in Samoa, L.T.S is working together with the Ministry of Education, Sport and Culture (M.E.S.C.) and other NGOs such as Fiamalmalama and Sense, to improve education opportunities for children with disabilities. Principal Lagi Natanielu said L.T.S. comprises of a variety of services including the school, early intervention and community disability support services, vocation services and sign language support. The early intervention service includes home visiting and parent and child groups. The community disability support service supports children who do not access school and older adults, with an emphasis on physicals needs and equipment. The vocation unit caters for older students who have left school and are learning skills in carving, printing, gardening & craft, which will improve their future opportunities. L.T.S.’s sign language specialist co-ordinates sign language classes, encouraging participation from parents and community members. The school teaches a range of children with disabilities and learning needs from years one to eleven with special focus on individual education plans for each child. Children’s learning is promoted through the adaption of the M.E.S.C. curriculum. The current focus is in building the capacity of the teachers to better able to meet the diverse learning needs of the students. Many families with children at school are from under privileged communities. The transport and meals provided for the students ensures access for these families who would otherwise not be able to access education. The two busses for transporting the students travel as far as the villages of Vailele and Saleimoa. In addition there is a van that goes to Si’umu. “If the transport service provided was not available, the majority of the children would not be able to attend school,” Mrs. Natanielu tells the Samoa Observer. Many of the children who enroll at L.T.S may have never accessed other health and education services beforehand. 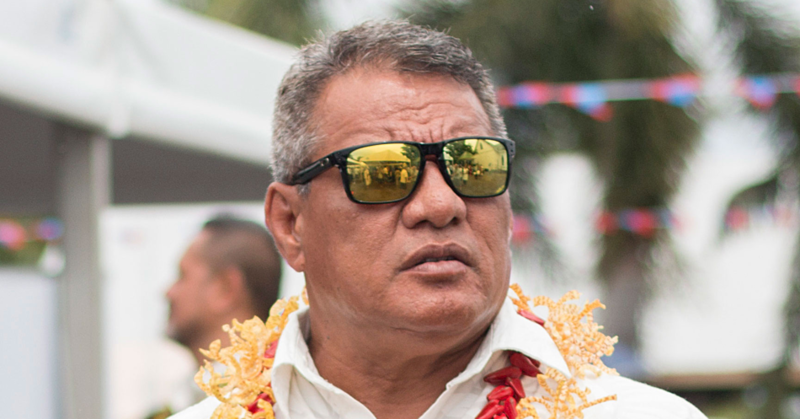 There is an emphasis on developing better early intervention services in Samoa to detect these children earlier, for relevant support and better outcomes." At present the work at L.T.S is being supported by Kathryn Bilbe, a Special Education Advisor from New Zealand through Volunteer Services Abroad. L.T.S. is a vibrant community contributing positively in making a difference in the lives of children with disability and their families in Samoa.